Outfielder Justin Maxwell has agreed to a minor league contract with the Miami Marlins. A look at some MLB Kernels from the cutting room floor for the first half of the 2015 season. Our weekly look at the rare occurrences in baseball touches all the bases, with an oddity from every major league team. 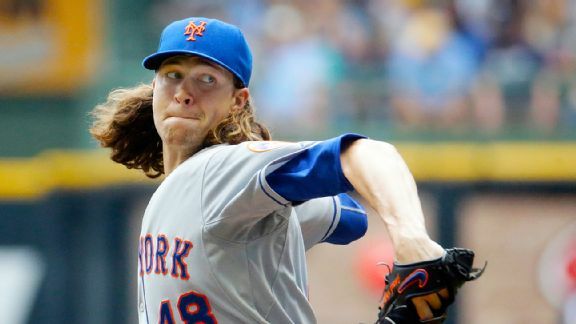 Right-hander Jacob deGrom gets the start for the Mets in the rubber game of their series at the Giants. The Giants activated righthander Jean Machi from the disabled list and recalled him from Triple-A Sacramento before Tuesday night's game against the San Diego Padres. 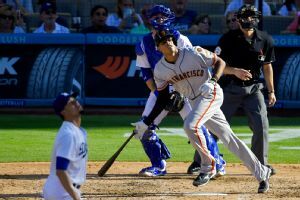 Los Angeles Dodgers pitcher Carlos Frias allowed two two-run home runs to the San Francisco Giants in the loss. The San Francisco Giants continued their dominance of the Los Angeles Dodgers on Saturday afternoon. Coming back from Tommy John surgery is not as easy as the New York Mets' Matt Harvey made it look in the first two months of the season. 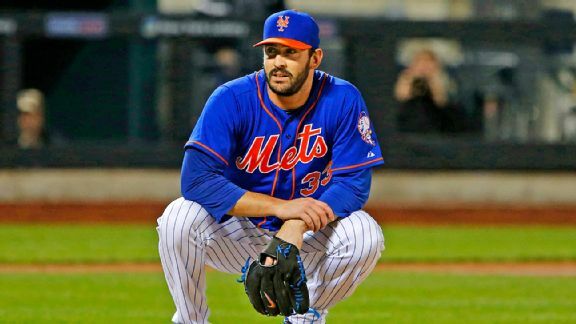 On a night the Mets needed him to be a hero, Matt Harvey was all too human. The Giants scored five times in the sixth inning off Matt Harvey, who allowed a career-high three home runs in Wednesday night's loss.